When I'm traveling, I become a cultural chameleon. I love a cup of Earl Grey tea when I'm in England, and I love a cheese course when I'm in France. For a cheese-lover, savoring Europe means savoring its cheeses — they're not only part of the cuisine, they're part of the culture. Here are just a few tips on how to be cheesy in Europe. In France, a love for beauty and tradition includes a fondness for artisan cheese that comes in wedges, cylinders, balls, and minihockey pucks; and they're sometimes powdered white, gray, or burnt marshmallow. They even have a proverb that says "a fine meal without cheese is like a beautiful woman who has only one eye." Here, the cheese course is served just before (or instead of) dessert. It not only helps with digestion, it gives you a great opportunity to sample the tasty regional cheeses — and time to finish up your wine. Between cow, goat, and sheep cheeses, there are more than 400 different varieties. Many restaurants offer a cheese platter, from which you choose few. 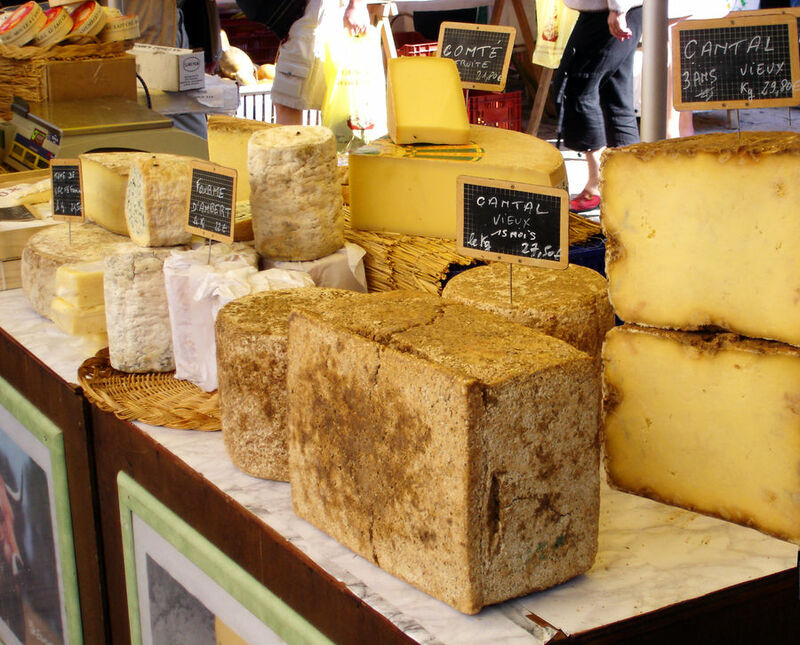 Whether at a restaurant or cheese shop, try at least four types: a hard cheese (such as Cantal), a flowery cheese (such as Brie or Camembert), a blue or Roquefort cheese, and a goat cheese. Be sure to go local. On your way to the châteaux in the Loire Valley, look for signs that say fromage de chèvres fermier (farmer's goat cheese). Or head to the Alps with a cheese map looking for les alpages, where you can taste hard, strong Beaufort or Gruyère-like Comté — and meet cheesemakers proud to show off their traditions. The Dutch are probably better known for their cheese than for any other food, and are among the world's top cheese exporters. To sample their cheese culture, visit Alkmaar (and its Friday morning market from April to August) or Edam (Wednesday morning market in July and August). 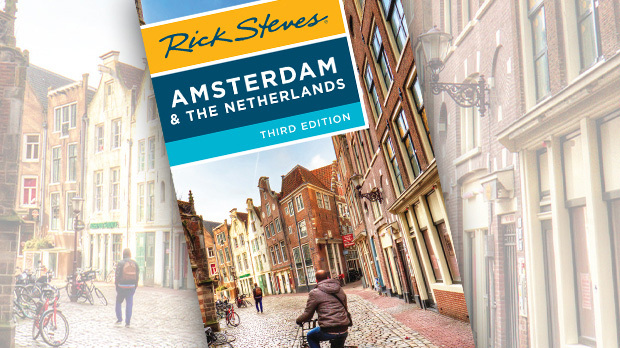 Both cities are a short train ride away from Amsterdam. 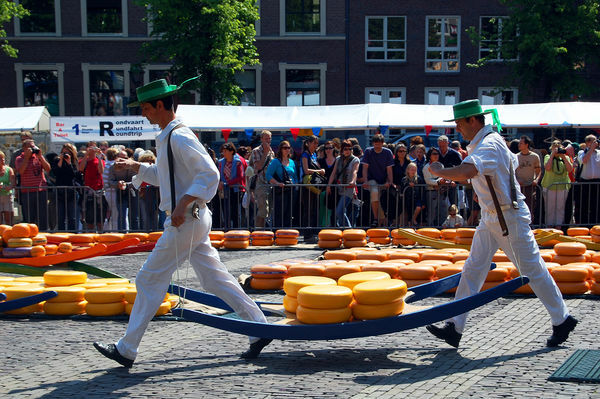 Alkmaar is Holland's cheese capital (and, perhaps, the unofficial capital of high cholesterol). This delightful city has zesty cheese-loving spirit, and is home to what is probably the Netherlands' best cheese museum… and in this country, that's saying something. The museum is in Alkmaar's biggest building, the richly decorated Weigh House, used since the 16th century for weighing cheese. Some studies show that Greece has the highest per-capita cheese consumption in the world — over 60 pounds a year. That's mostly feta, which serves as one of the four "food groups" here, along with olives, tomatoes, and crispy phyllo dough. Protected by EU regulations, Greek feta made with sheep's milk, although a small percentage of goat's milk can be added (but never cow's milk). As you travel around Greece, you'll notice that feta in the Peloponnese is dryer and crumbly, while feta made in Macedonia is mild, soft, and creamy. Even in big-city Athens, you'll find markets that still sell feta from the barrel — and you'll also find feta in everything from salad and sandwiches to savory pies and dips. Eating feta in my salad every day reminds me how I wish the US valued taste over looks when it comes to salads. No matter where you travel, get out of your Cheez Whiz comfort zone. Instead of pointing to a recognizable cheese that you eat in the US, be armed with a little vocabulary (such as words for mild and sharp) in the local language. Ask your waiter or shop keeper for help. You'll find being a cheesehead in Europe is a way to deeply taste the local culture.